NYC, 02/16/2019, 2:00PM. The Glass Castle (2017): Biographical drama starring Brie Larson and Naomi Watts. A young girl comes of ae in a dysfunctional family of nonconformist nomads with a mother who's an eccentric artist and an alcoholic father who would stir the children's imagination with hope as a distraction to their poverty. 127 min. Director: Destin Daniel Cretton. Starring Brie Larson, Woody Harrelson, Naomi Watts. 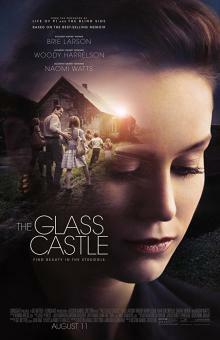 The Glass Castle based on Jeannette Walls' 2005 best selling memoir of the same name. The movie grossed $17.3 million in the United States and Canada and $3.9 million in other territories, for a worldwide total of $21.7 million.